Located at Morristown Airport. Contains news items, FAQs, and the various licenses available. airline services, flight schedules, location map, contacts and pilot information. Producers and suppliers of tea, tea mixes, and breakfast drinks. Provides custom blending and packaging. Morristown, New Jersey, USA. Using Finale software. Services offered, examples, rates, and contact information. Located in Morristown, New Jersey. offers b100 soy biodiesel. lists their services and company history. morristown, indiana, united states. Includes mail receiving and handling, call forwarding, voice mail, and conference room rentals. Based in Morristown, New Jersey. Creative marketing firm handling strategic planning, media planning and management, public relations, brand development and product launches, and web site design. Site includes employee list and portfolio. Morristown, New Jersey. The Morristown & Erie offers private rail cars for charter on Amtrak or New Jersey Transit. There are also special events trains run in conjuction with the Whippany Railway Museum. About the programs offered at this Morristown facility. Offering Lasik, PRK, RK and AK eye surgery in Morristown. Physician profiles, FAQs, and details of accepted health plans. Morristown, New Jersey USA. Registration, event description and rules, contacts and directions. Importer of Czech Border Patrol German Shepherds, trained adults, and puppies available in Morristown. The official site with officers, history, picture gallery, schedule, contact details, links and player relocation. Based in Morristown, New Jersey. Offers programs and services in emergency care, diagnostic imaging, surgery, and critical care. Morristown. The Associates is New Jerseys largest open heart surgery program performing over 1600 procedures per year. Located in Morristown, NJ. Clinic in Morristown, New Jersey provides MRI, CT scan, bone densitometry, ultrasound, mammography, X-ray and all types of diagnostic radiology services. Also provides body weight composition evaluations, FAQs and procedure information. Womens team and member of the Western Jersey Outlaws League in New Jersey. Provides history, calendar, member profiles, photos, and coat of arms. Home of American Paint Horse Association Reserve World Champion Chippen. Standing bay overo at stud. Includes sales list, photos, and profiles of horses. Located in Morristown. Operates fitness facilities in Cookeville, Knoxville, Sevierville, Oak Ridge, and Morristown. Lists locations, hours, services, classes and workshops, and details of personal training, child care, and special offers. Provides schedules of games in the area and practical information about two local clubs. Public club helps members develop public speaking and leadership skills in a supportive environment. Located in Morristown, New Jersey. general practice firm based in morristown. general practice based in morristown. retailer of caskets and urns in morristown, tn. morristown firm focusing on employment and labor law. morristown firm focusing on business and commercial litigation. Contact information, service schedule, and calendar of events. Meets on the 2nd and 4th Mondays. History, trestleboard, links. firm located in morristown. description of practice areas and immigration news. located in morristown. includes information about their merchandise, staff and services. morristown litigation firm, offering services for personal injury and criminal defense matters. Morristown. Worship schedule, welcome, beliefs, pastors testimony, newsletters, and contact information. morristown attorney, with a civil and criminal trial practice, including personal injury and insurance defense. law firm with offices in new york and morristown, emphasizing representation of persons injured in aviation accidents and mass disasters. providing banking and finance expertise, focusing on bank and thrift securities. based in morristown, new jersey. diversified law firm, based in morristown, offering full-service representation to leading businesses and individual clients. The George Washington Council of Morristown, New Jersey. Provides details on church ministries, worship schedule, staff directory, and events calendar. morristown-based general practice law firm, offering information about practice areas, attorney and staff profiles, and tips for referring attornets. morristown firm, representing clients for personal injury, malpractice, family law, employment, estate planning, real estate and all types of criminal matters. Ancestral history compiled by Gary Reckart Snr from Tampa, Florida. Includes reunion details and descedants of Christian Reckart (b.1787) Morristown, NJ. law firm representing management in labor and employment cases, as well as other business and commercial matters. offices in knoxville, morristown, cookeville, and nashville, with affiliated firms in other southeastern states. a morristown firm that represents business entities, including public school districts in a variety of areas including school law, business law, and tort law. Punk rock band from Morristown, New Jersey. Contains biography, past shows, audio samples, and pictures. A 4-piece funk/punk band from Morristown, New Jersey. With background, show dates and links. morristown venue offering jazz, blues, rock, pop, and soul. site includes a schedule of events, ticket information and directions. Morristown. This venue offers a variety of musical concerts, comedians, and dance performances. Includes a calendar, show and ticket information, and contact details. features member roster, event calendar, competition scores, multimedia, alumni list, repertoire, band booster club news, and staff roster. SiteBook Morristown City Portrait of Morristown in Tennessee. 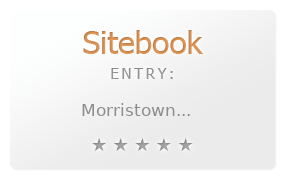 This Topic site Morristown got a rating of 4 SiteBook.org Points according to the views of this profile site.